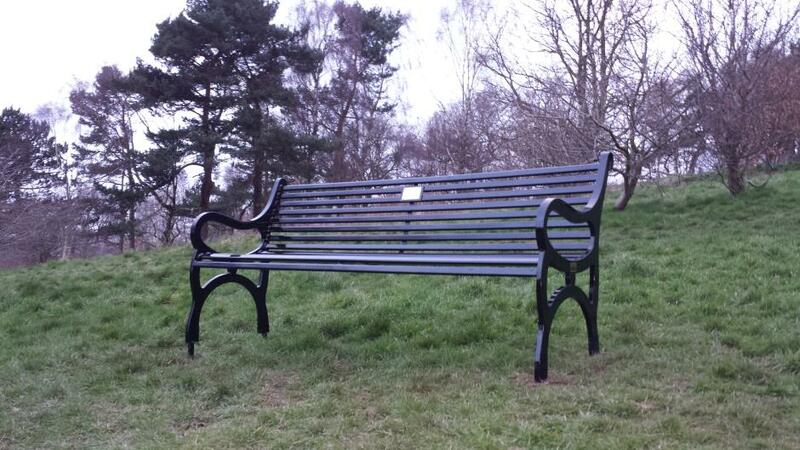 I am pleased to be able to pass on the news that as of Thursday 13th March 2014, Parkinson’s Park has a new Bench. This one is a memorial Bench donated to the Park by Matthew Pinkney in memory of his wife Jenny who sadly passed away in 2013 aged 28. It is the Ogilvie KC1800, or the nice new shiny looking black bench, that you pass on your left as you walk up the hill from the Greenshaw Terrace entrance. It is fitting that the Bench looks towards the new Redrow estate where Matthew and his young son lives. Thanks to Matthew for donating the Bench, it is well located and will serve the growing community of Park users in future years to come.